As anticipated, Huawei is holding today a media event to launch its flagship device, the P8. With this new model, the company has dropped the Ascend moniker to the advantage of a cleaner nomenclature focusing only on digits and letters. The new Huawei P8 is here and the company’s CEO has introduced the phone as a product that wants to “ignite creativity.” The device arrives with a metal frame and a 6.4 mm / 0.25 inch thick body, which is not the thinnest on the market (that’s the Coolpad Ivvi that comes with a 4.7mm / 0.18 inch frame), but pretty sleek nevertheless. 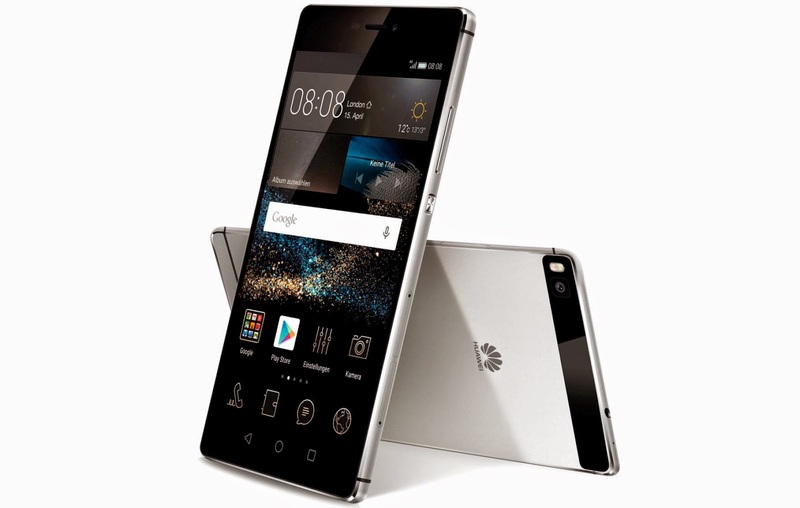 The Huawei P8 arrives with a 5.2-inch IPS display (1080p pixel resolution), with the screen taking up to 78.3% of the front thanks to the sleek bezels that put the Galaxy S6 to shame. In the photography department, the P8 takes advantage of a camera sensor with four types of sub-pixels including Red, Green, Blue, and White. This should make the snapper more efficient in low-lighting environments. The 13MP main camera also benefits from optical image stabilization and can also rotate up to 1.6°, which is double than what the iPhone 6 Plus camera can do. Another interesting detail is connected to the image processor, which Huawei says is of DSRL quality. But that remains to be seen. The selfie frontal camera is of an 8MP variety. Moving on, the new phone bundles the so-called new Signal+ tech which features two antennas, one living at the bottom and another one at the top, so users can switch between them in just 33.5µs with the advantage that the calls and data connection are not affected. Huawei promises customers will experience 50% less dropped calls and also get a 6.8 increase in call connection rates too. The phone can pick out the best Wi-Fi signal from the crowd via Wi-Fi+. Will the Huawei P8 manage to take the focus off the Samsung Galaxy S6? Just as we were anticipating, the new P8 takes advantage of the company’s own HiSilicone Kirin 930 chip with 2GHz octa-core CPU on the inside, fitted with 3GB of RAM and 16GB of internal storage. The phone has 4G and dual-SIM option. The phone will be made available in four colors including mystic champagne, prestige gold, titanium gray, and carbon black. It also runs Android 5.0 Lollipop with EMUI 3.1 on top, which brings along an interesting feature in the form of salled Knuckle Gesture. This feature allows users to double tap on the screen to take a screenshot using their knuckles and then crop it out also with the help of their knuckles. For those interested in the new Huawei P8 you should know that the 16GB model will go on sale in Europe starting in May 2015 for around €499 / $530. The 64GB version will be offered for a bit a more expensive tag of €599 / $635.